* ETHIOPIA (RLPB 492), where political elements determined to resist PM Abiy Ahmed's reforms are suspected of being behind the ethnic and sectarian violence that has escalated markedly over the past six months. Religious violence included the 9 March torching of at least ten churches in a majority-Muslim region of southern Ethiopia. Please pray that God will complete the good work that he has begun in the nation of Ethiopia. * IRAQ (RLPB 493), where Sunni transnational Islamic State is making a comeback and Sunni Kurds are competing with Shi'ite Shabaks (Baghdad's and Tehran's proxy against the Kurds) for control of Assyrian lands. 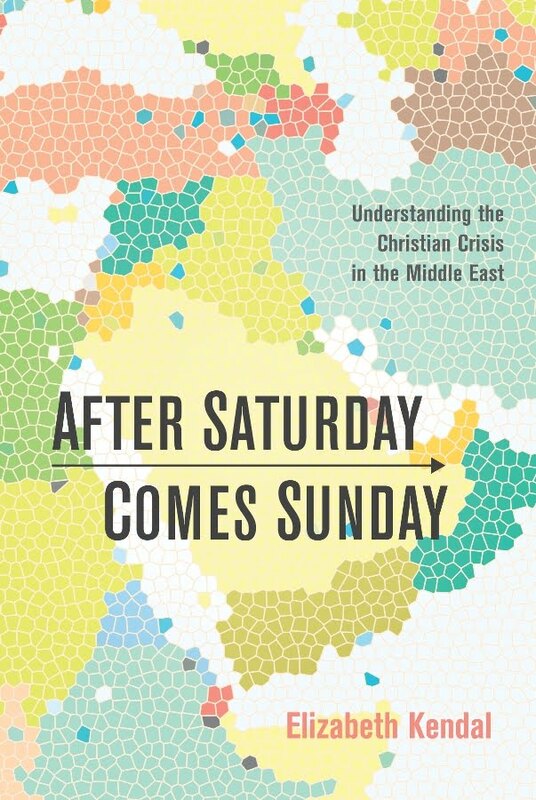 Betrayed and abandoned, the indigenous Christian Assyrian nation is in a struggle for survival. Please pray for the Assyrian remnant in northern Iraq's Nineveh Province; may the Lord intervene to revive, sustain and deliver justice. * SOMALIA (RLPB 494), where a Church has taken root and is growing despite severe persecution. Even in Kenya where there is freedom, Christian ministry among ethnic Somalis is exceedingly dangerous. Please pray that God in his grace will bring peace and freedom to Somalia. On 27 February Nigeria's Independent National Electoral Commission (INEC) announced that President Muhammadu Buhari (APC) had won the presidential election. Crying foul, but rejecting violence, his main opponent, Atiku Abubakar (PDP) rejected the result. According to the PDP's parallel tabulation, Atiku won the poll by more than two million votes. Ignoring warnings that his actions could trigger violence, Atiku is challenging the election result in the Supreme Court. Former president Olusegun Obasanjo has defended Atiku's right to seek legal redress, noting that, if Buhari were permitted to seek redress over past losses (as he did in 2003, 2007 and 2011), then Atiku should be entitled to do likewise, as should any Nigerian who feels they have been denied justice. According to Obasanjo, those warning the case will trigger violence are simply those looking for an excuse to unleash violence. It is unlikely that the Supreme Court (overseen by Buhari's new Chief Justice [see RLPB 488 (6 Feb)]) will issue a ruling before Buhari is inaugurated on 29 May. Despite the seeming peace, the situation across Nigeria remains tense. Please pray. by John Campbell, Council of Foreign Relations, 19 March 2019. The mass protests that erupted in Algeria on Friday 22 February have continued through March. On 11 March the regime conceded and, in line with the peoples' demands, announced that President Abdelaziz Bouteflika (82 and incapacitated from a stroke) would not contest a fifth term. However, the protesters are demanding not merely a new president, but a new regime -- a new system! 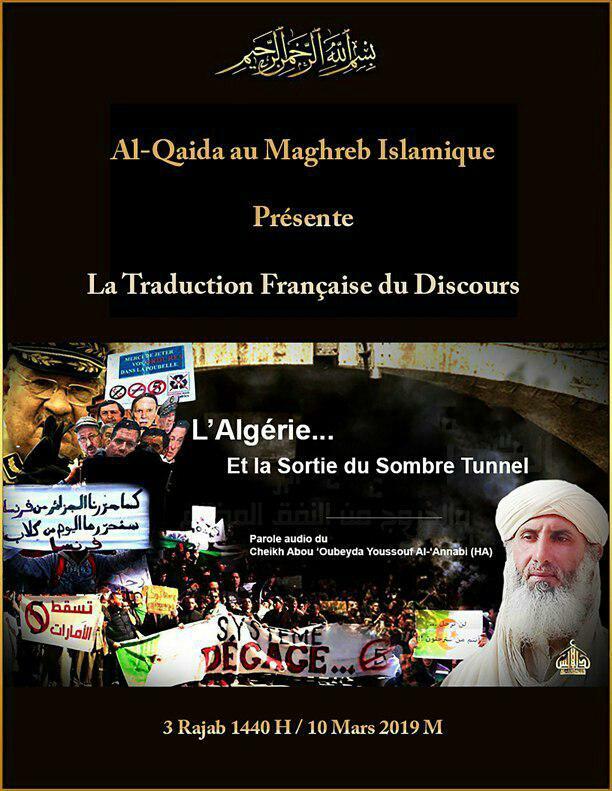 For many years now, Algerian security forces have partnered with the US to keep al-Qaeda in the Islamic Maghreb (AQIM) and Jund al-Khalifa (Islamic State's franchise in Algeria) in check. A number of analysts have expressed concern that escalating unrest 'is likely to spawn profound security challenges ... [in particular] by providing additional space for Algeria's militant groups to recover and expand' (Stratfor, 12 March). On 9 and 10 March al-Qaeda social media channels publicised a speech by Abu Ubaydah Yusuf al-Anabi, a high-ranking AQIM official. In his speech, entitled 'Algeria … Getting Out from the Dark Tunnel', Al-Anabi agrees with the protesters' assessment of the government as corrupt and repressive. He then proposes a solution: Islamic governance with Sharia law and a real Muslim leader (as distinct from one who is 'loyal to the Jews and the Christians'). 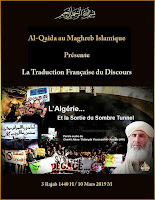 To that end he exhorts Algerians to 'unite' as Muslims and 'sons of Islam' and join AQIM's 'resistance'. According to al-Anabi, 'victory' under Allah is close at hand, as the 'signs have appeared' all across the country. These are watershed days for Algeria. 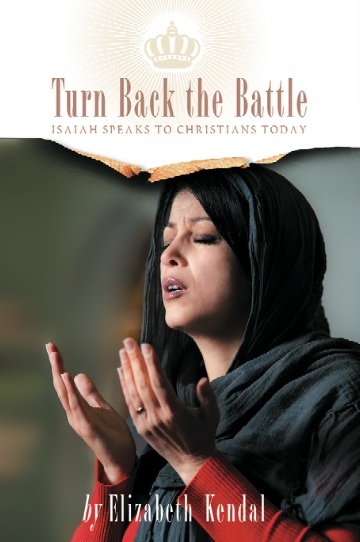 For the sake of Algeria's young, persecuted but growing Church, please pray. May God protect his precious Church and may the devil have no victory here. Human Rights Watch (HRW) has released a report on the trafficking of Kachin women, a crisis directly linked to the Burmese government's war against the Christian Kachin. Some 100,000 Kachin are displaced and struggling to survive in camps pressed up against the Chinese border. Because the Burmese government has blocked aid deliveries into 'rebel' (i.e. Kachin)-controlled areas, the situation in the camps is increasingly desperate. Many Kachin women cross the border to take up jobs in China only to find that the recruiters were actually traffickers. Other women are trafficked by people known to them. After being drugged, they are taken across the border and sold to Chinese brokers. 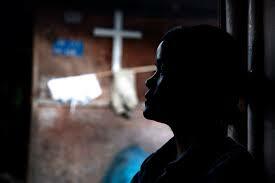 The price paid to the trafficker depends on the quality of the woman being sold: her youth, beauty, skills etc. After being sold to Chinese families as 'brides' for their sons, the trafficked Kachin women are locked away and raped daily until they are pregnant. Once a baby is delivered the 'brides' are often sent away or allowed to escape. HRW reports: 'Most ethnic Kachin are Christian, and many are deeply religious.' Consequently, HRW notes, 'there is a lot of stigma', and the women feel a lot of shame for what has happened to them. Please pray that God will intervene for the Christian Kachin of northern Burma. Pray for delivery of aid. Pray that the Kachin will be granted autonomy to maintain their Christian culture as they desire. 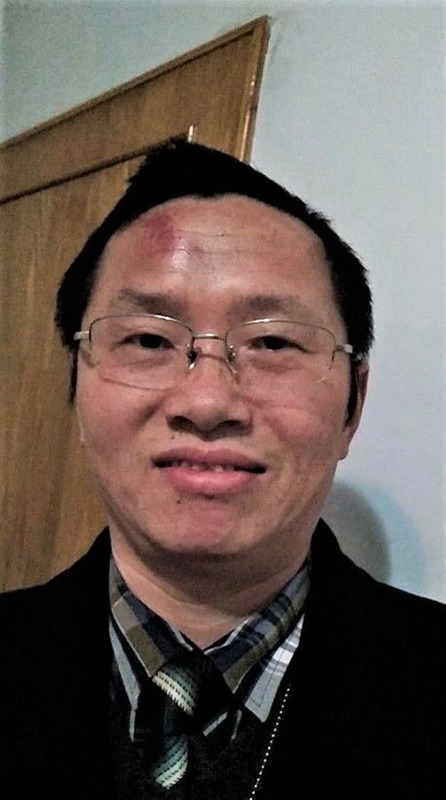 JIANG TIANYONG: Human rights lawyer and Protestant Christian Jiang Tianyong (48) walked free in early March having spent two years in prison for 'incitement to subvert state power'. 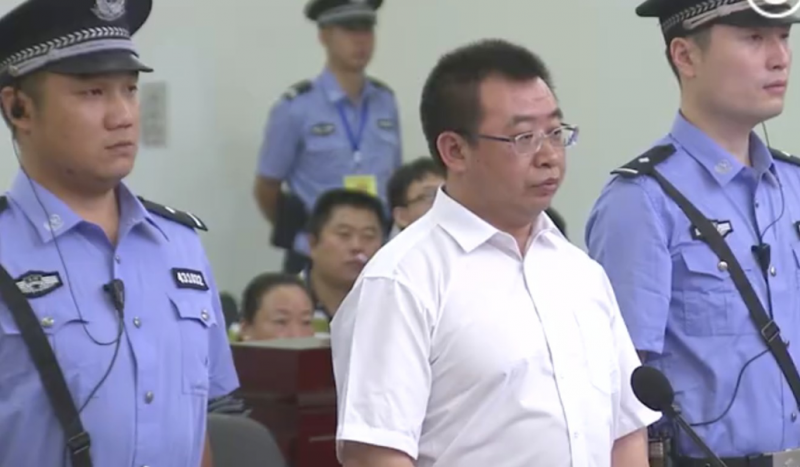 A thorn in the side of the Communist regime, Jiang had been assisting persecuted human rights lawyers, including Gao Zhisheng (who remains 'disappeared') and many of those arrested in the July 2015 crackdown. In 2014 Jiang's wife and daughter left for the US where they received political asylum while Jiang remained in China to continue the struggle for justice and liberty. Today, despite being 'free', Jiang is being kept under surveillance around the clock by officers who prevent him from speaking to anyone. He is denied a mobile phone and visitors. Jiang wants to be reunited with his daughter and his wife, Jin Bianling, who wants him to travel to the US for medical treatment for injuries and ailments acquired in prison. These include a spinal injury, memory loss, eye inflammation and high blood pressure. Jiang has threatened to protest if he is not permitted to be reunited with his family. Please pray for this Christian family, persecuted for promoting righteousness and pursuing justice. EARLY RAIN CHURCH: In 2018 the Communist Party escalated its persecution of Early Rain Covenant Church in Chengdu city, Sichuan Province. Ultimately, on 9 December, the authorities swooped and arrested around 100 leading members [RLPB 483 (12 Dec)], dozens of whom remain in detention. On 19 March China Aid Association (CAA) reported that several church members had recently 'disappeared', usually right after receiving a visit from the government officials. Furthermore, Chengdu authorities have driven some Christians out of their homes and pressured landlords to cancel leases. One couple -- Liu and his wife Xing -- were visiting Christian friends on 2 March when police from Chengdu Shuyuan Police Station came and took them away for interrogation. Liu and Xing were 'personally humiliated, abused, and violently beaten by seven to eight police officers' through the night in Taisheng Road Police Station before being escorted back home. Please pray for the Church in China. Indians will go to the polls in seven phases between 11 April and 19 May to elect a new Lok Sabha (lower house of parliament). The results will be announced on 23 May. Consequently, Hindu nationalist forces are in full campaign mode. Morning Star News reports unprecedented targeting of churches in the southern state of Tamil Nadu. In one case, area leaders from the Hindu nationalist Bharatiya Janata Party (BJP) led a mob of Hindu villagers in a Sunday evening attack on a house church prayer meeting led by Pastor Raju and attended by 20 women whom the Hindu mob humiliated, abused, threatened and terrorised. In another case, Arjun Sampath, the founder of the Hindu Nationalist Party (Hindu Makkal Katchi), went door-to-door with a female police officer admonishing Christians and ordering them to cease their activities. 'They told me that there should not be any Christian prayers in the area,' said Pastor Vetri. In yet another case, a Hindu mob burnt a Christian meeting place, forcing the believers to meet in the hall. Under pressure, the landlord informed them they would have to vacate. According to Pastor Joseph, the congregation had been receiving threats for many months, but the police were simply not interested. Please pray for the Church in India, especially as the election approaches. In Kazakhstan, all churches must be registered to be legal. The requirement for a local body to have at least 50 adult members can be difficult for Protestant communities, especially in rural areas. As in China, the restrictions imposed on registered churches make registration unpalatable for many. Churches belonging to the Council of Churches Baptists do not apply for registration on principle, maintaining that religious freedom is a fundamental human right. This brings them into conflict with the authorities, but no more than any of the restrictions would even if they did register. Forum 18 reports that on 3 March, Anti-Terrorism Police in the southern city of Taraz raided another Baptist church's Sunday morning meeting for worship, the third such raid on a Council of Churches Baptist community since 10 February. In total, five Baptists have been fined the equivalent of either one month's or two month's salary. While Kazakhstan's religion laws are designed to target genuinely problematic Islamic jihadist and revolutionary movements, they are eagerly applied to peaceful Protestants in Kazak/Muslim-majority areas with the goal of preserving 'social harmony'. Please pray for the Church in Kazakhstan. Sadaf Masih is a 13-year-old Christian girl from Bahawalpur, Punjab Province. On 6 February she joined the ranks of hundreds of girls to be abducted by Muslims and trafficked across religious lines in Pakistan. Indeed, it is widely accepted that at least 1000 minority girls are trafficked in Pakistan every year. The three Muslim men who abducted Sadaf are described as 'influential'. When Sadaf's family confronted the men they promised to return her. Instead, they sent the family a marriage certificate showing Sadif's age as 18, her religion as Muslim and her status as married. Despite death threats, the family has registered a case with the police, who are reluctant to get involved. two abducted Hindu sisters aged 13 and 15. On 20 March two Hindu sisters aged 13 and 15 were abducted by 'influential' Muslim men in Ghotki District, Sindh Province. When video footage appeared online showing the girls being forcibly married to Muslim men against their will, the Hindu community erupted. Only then did police agree to register an official complaint. The incident triggered a 'mini-spat' between Pakistan and its nuclear-armed Hindu-majority neighbour, India. By 25 March seven men had been arrested. While the girls might be free they are not home yet; instead they are being held in a government shelter as the authorities investigate whether they were actually abducted and forcibly converted. As for Sadaf Masih (13), who will speak up for her? Unfortunately, she does not have a nuclear-armed neighbour on her side. But she does have the Church and she does have the Lord! Please pray.